I finally bought the board, drew the pattern and cut out the pieces. My old Dremel scroll saw was just as crummy as ever and I had to wrestle the board at an angle through the blade just to cut a semi-straight line. So there were a couple gaps in the joints when I glued the box together. But now that I’ve got all the pieces together and drew the carving pattern, and found the pearls, I’m starting to envision the end product. I’ll post later as it progresses. 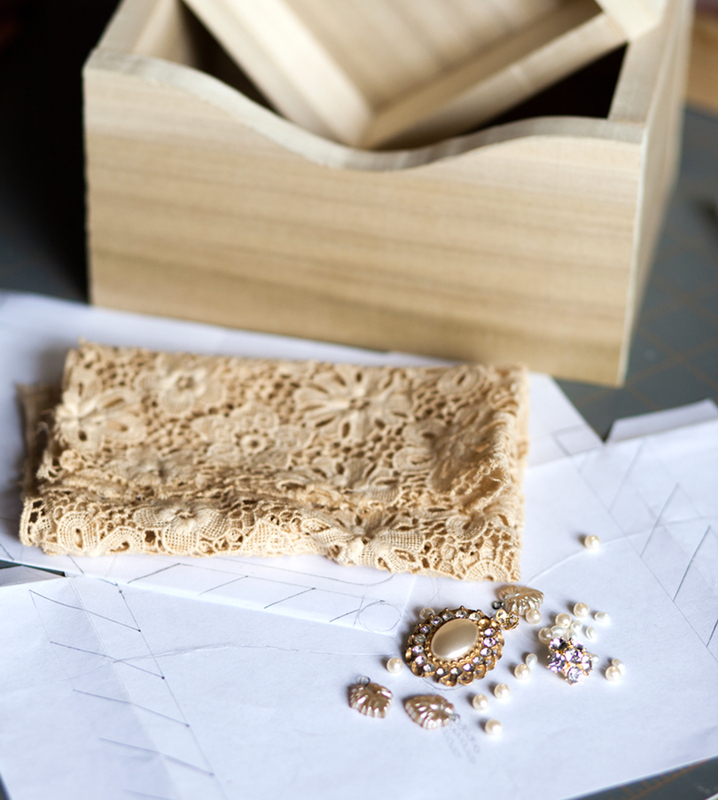 Supplies for the box include vintage lace, an old broken brooch, vintage beads and my carving pattern. Can’t wait to see it when you’re done!